You can pick up a pizza on just about every street corner in Melbourne, but unfortunately the vast majority of pizza shops offer a rather mediocre product. You know the type I’m talking about, think base, topped with tomato paste, half a kilo of cheap shredded ham, tinned pineapple and drowning in cheese. Every now and then this type of pizza is ok, but it shouldn’t be accepted as the norm. There are a number of characteristics that set apart the average and the amazing pizzas, namely a crispy thin base topped with fresh high quality ingredients like buffalo mozzarella, fresh basil and great quality meat cuts. 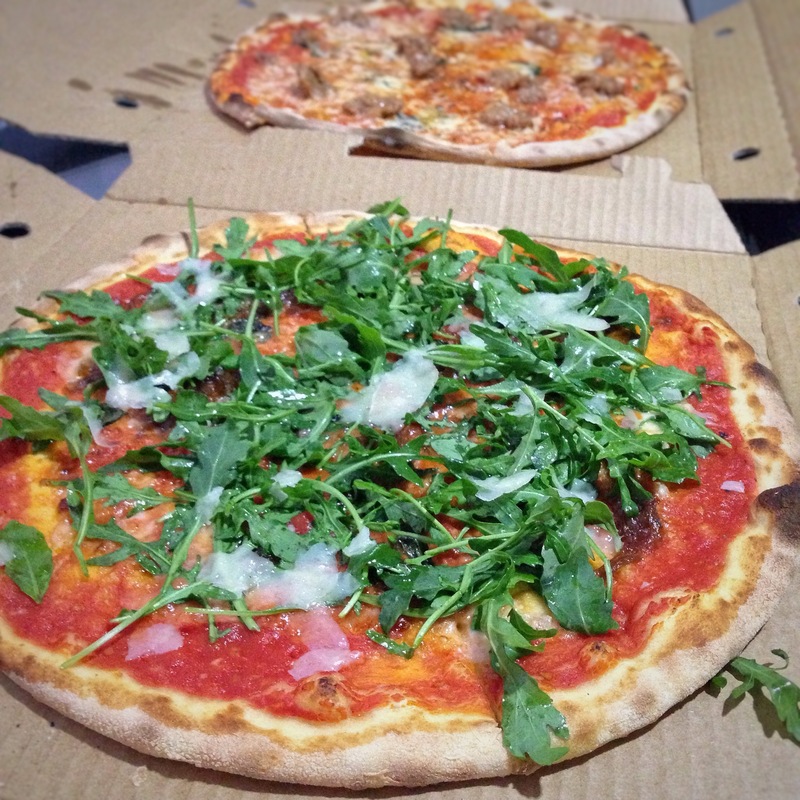 This more traditional type of pizza has grown in popularity making it much easier to find, however very few have mastered the art of pizza making to the extent that they have at Ladro. Serving up traditional Italian fare and exceptional pizzas for over 12 years, the team at Ladro have cemented themselves as some of the best pizza makers in town. Coming from a traditional Italian family, I’m always on the hunt for the perfect pizza and despite being told by just about everyone that I should check it out, I only visited for the first time in the last week. Unfortunately, I’m still stuck in hospital so we weren’t able to dine in, but luckily enough we were able to grab a couple of pizzas on the go. Their pizza menu isn’t huge, but each item listed on it is creative and unique, with a few traditional options thrown in for good measure. 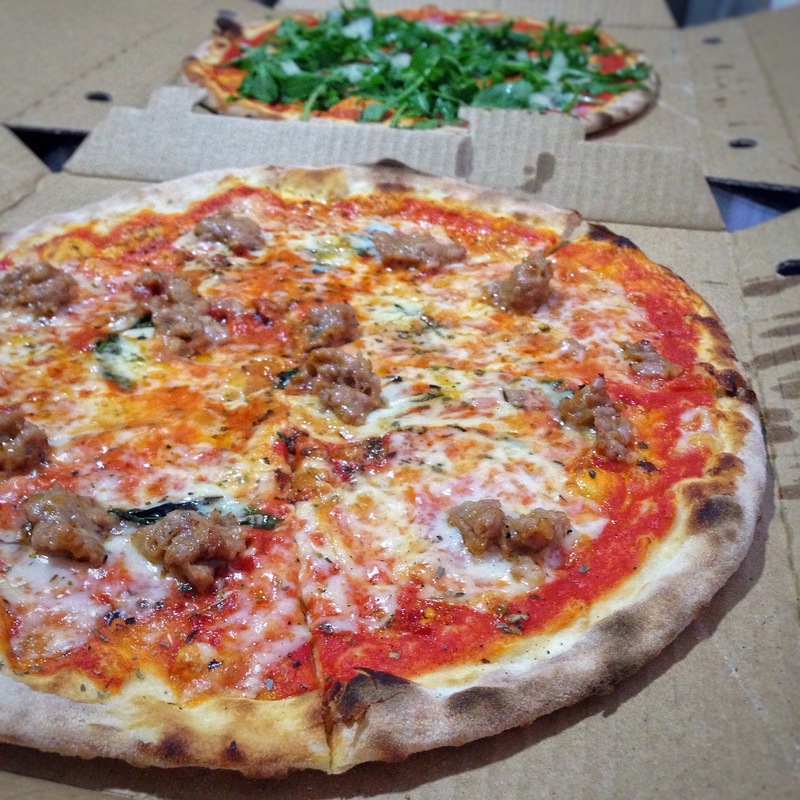 We opted for the Badabing (tomato, provolone, pork sausage, oregano, chilli and basil) and Scout’s Pizza (tomato, taleggio, caramelised onion, basil, dressed rocket and parmigiano). My first observation was just how impressive the base was, super thin, crispy and not a soggy patch in site. 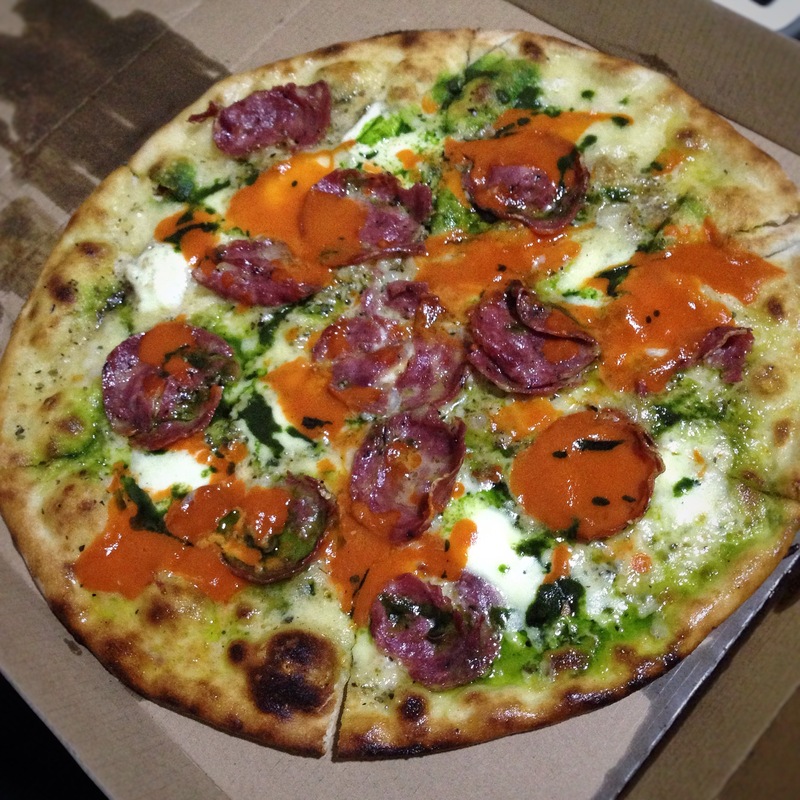 I’d have to say this is hands down the best pizza base I’ve seen and tasted in Melbourne. Topped with quality and flavoursome ingredients, both pizzas were exceptional. They were so good, I ate over half a pizza on my own, when I’d normally be hard pressed to eat two slices. Both my husband and I were exploding at the seams but we couldn’t stop eating. My advice to you is don’t wait as long as I did to visit Ladro. These pizzas will blow your mind and just like me, you’ll definitely make your way back for another round. Thanks heaps, I’m hanging to get out of here! You’re not alone, had I not been in hospital near by, I also may not have visited. Even if you don’t eat in, just get a pizza to go, you won’t regret it.